‘Tis the season to trade in sleep for screenings, meals for popcorn, and personal space for the hustle and bustle of festival street. That’s right, TIFF has officially arrived. A celebration of film from around the world and an opportunity to watch Oscar contenders and spot breakout performances. 1. Outside of the film’s we’re working on, which film would you go see if you have the time? 2. 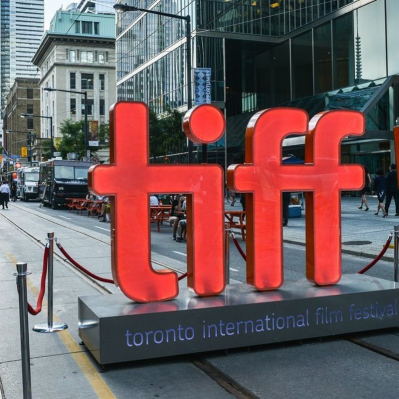 What’s your TIFF survival tip? 3. What’s your current mood going into TIFF in a GIF? Keep reading to see what they said and happy TIFFing! 1. Disobedience – I’m looking forward to seeing Rachel McAdams in a different role in Chilean director Sebastián Lelio’s latest film. 2. No matter what happens, eventually you’ll be in bed. 1. Mary Shelley – ​I really liked Al-Mansour’s first film Wadjda, so I’m really interested to see what she does with Mary Shelley! 2. Always carry concealer and gum. 1. Grace Jones : Bloodlight And Bami – I loved her music when I was younger. 2. Keep the drama on the screen! 1. Three Billboards Outside Ebbing Missouri – Frances McDormand and Martin McDonagh are a winning combo. 2. Make your plans and then burn ’em. 1. Jennifer Baichwal and Nicholas de Pencier’s Long Time Running – a documentary following the Tragically Hip as they tour across Canada one final time – need I say more? 1. Disaster Artist – I’m a huge fan of The Room and can’t wait to see James Franco’s take on it. 2. Laugh it off. It will be funny later. 1. Eric Clapton: Life in 12 Bars – I admire his music and fascinated by his story. While I’ve seen other Clapton docs, I’m looking forward to this film which was co-produced by the people behind Searching for Sugarman. 2. Make time to sleep and eat. 1. Suburbicon – It’s a dark crime comedy set in the 50’s, directed by George Clooney, and with a Coen Brothers script (reworked). What’s not to like? 2. Being a TIFF newbie, I’m yet to have a tried and tested survival tip.. but you can’t go wrong with snacks. Snacks in your purse, snacks in your pockets, snacks on snacks. Which films are you most looking forward to at the festival?